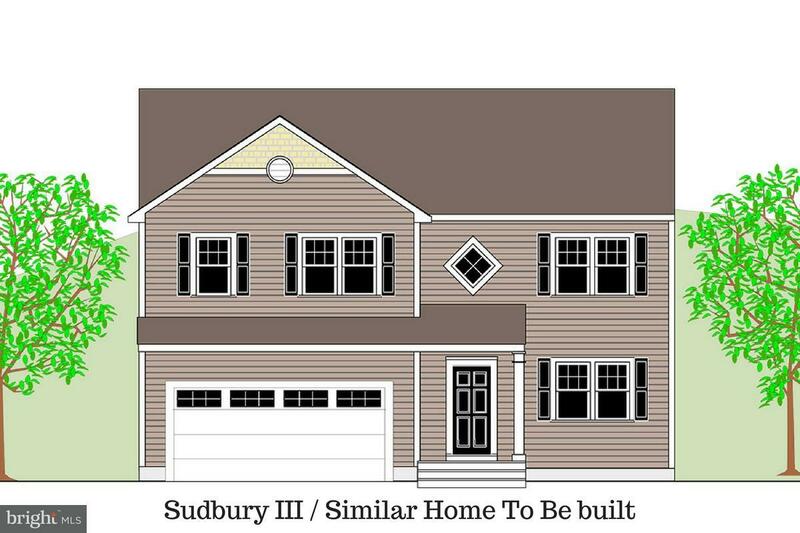 This Sudbury III model features upgraded shake siding and upgraded garage door. Inside you will find a well-designed 4 bedroom/2.5 bath home. The home offers a wide open first floor design. As you enter this home you will be greeted by hardwood flooring in the 17' open foyer with oak railing. The first floor features a large all-wood kitchen with island, an adjacent eating area with a patio door for outside access, a nice size family room as well as additional room to serve as a den or office area. The home features a first floor laundry along with a half bath. The second floor offers a well-proportioned master suite with a walk-in closet and a double bowl vanity. The home also features 3 additional bedrooms. Standard features include architectural shingles, natural gas heat and hot water, central AC, insulated windows and much more. Farm Lane Estates has numerous additional plans/lots that can be built in the rolling hills of southern Pennsylvania. Located in perfect commuting distance from Hunt Valley, Gettysburg or Harrisburg. Minutes from Route #30 just west of York.For more information call the Jim Powers Team at 717-836-0777 . AGENT IS AT THE MODEL HOME AT 1151 JUNIPER DRIVE.